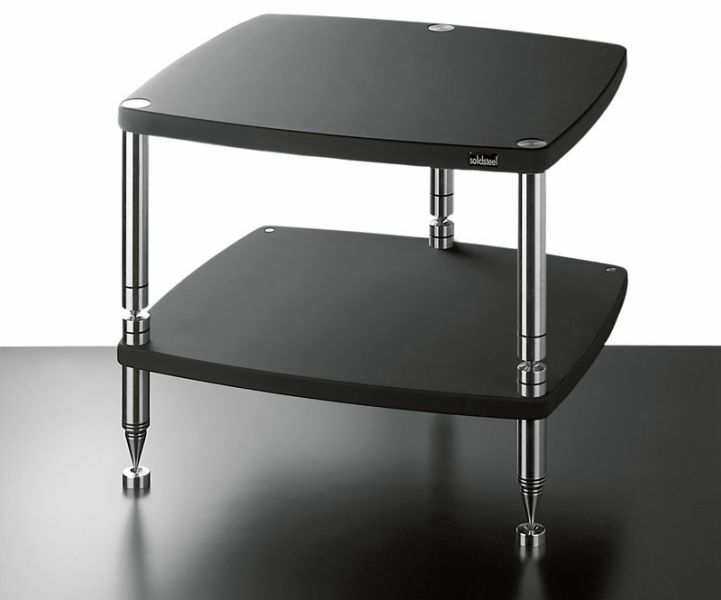 Two-shelf modular audio table, solid stainless steel tripod design makes for ease of leveling. 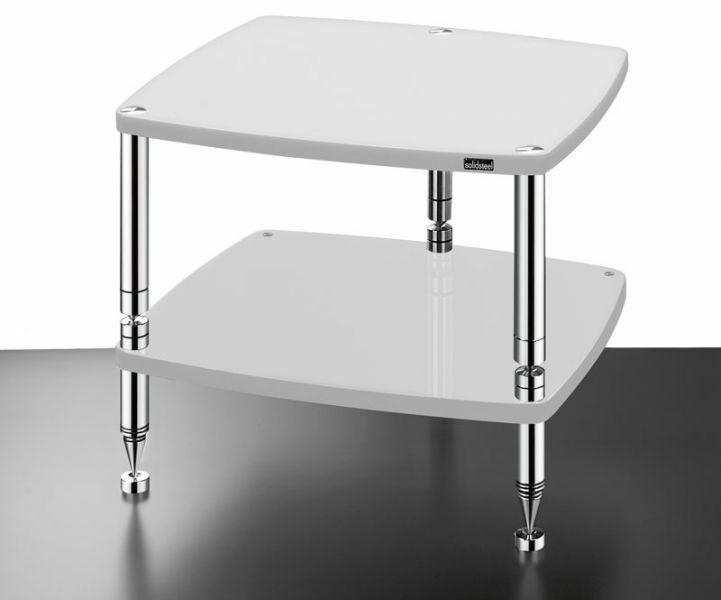 Decoupling MDF Light shelves with Vibration Free system, solid steel adjustable spikes and discs. HS-2 well suited for minimalist, high performances systems (source + amp). 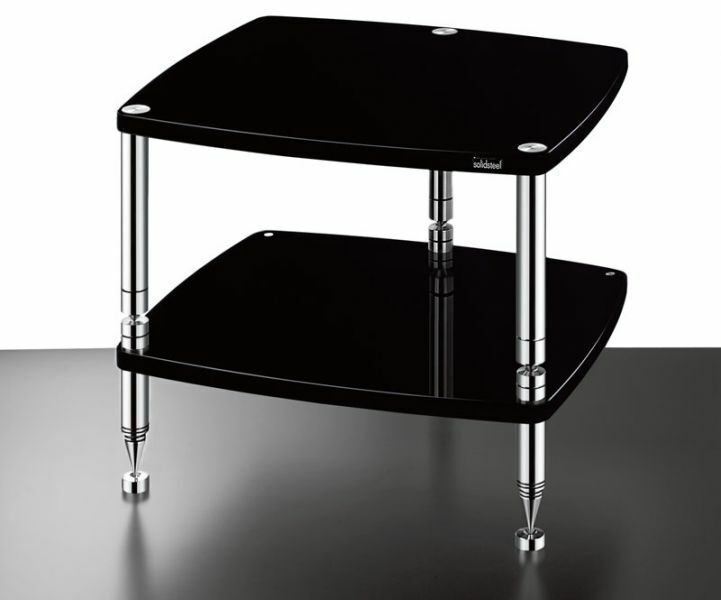 Ideal with all furnishings and component chromatics.